A benzylpiperazine was prepared directly from the corresponding benzaldehyde and piperazine on a continuous-flow hydrogenation apparatus. 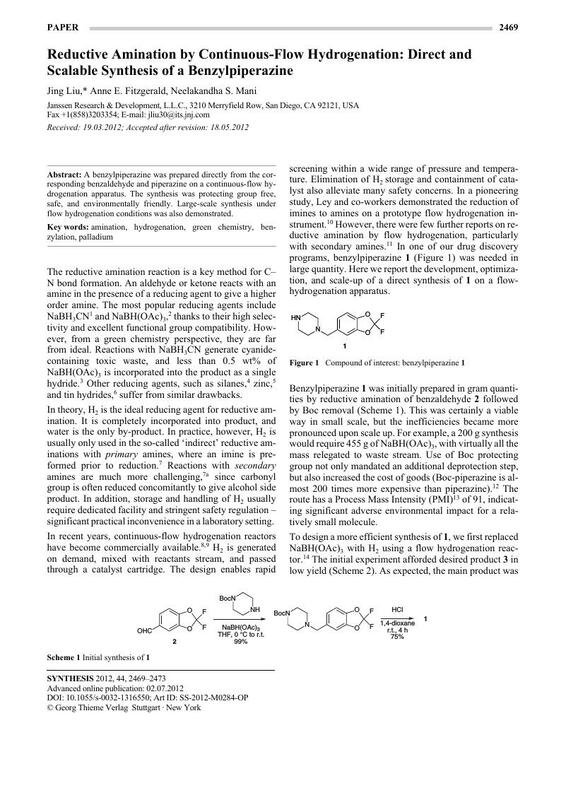 The synthesis was protecting group free, safe, and environmentally friendly. Large-scale synthesis under flow hydrogenation conditions was also demonstrated.